How would contenders for the state's top legal office have handled the budget stalemate? One of the limitations of modern political debates is that candidates are usually only asked what they'll do. But in this era of political dysfunction and governmental obstruction, it can be just as important to know what a candidate might choose not to do. At a recent forum in Springfield, most of the Democrats seeking the nomination for attorney general gave a series of predictably orthodox answers to predictably orthodox questions. Whether the topic was immigration, abortion or protecting LGBTQ rights, the homogeneity of responses was such that candidate Jesse Ruiz, on at least three separate occasions, remarked on the lack of disagreement. "As you've all heard, thank God we're all Democrats," he said in his closing statement. "We're not that far apart on a lot of the issues." That is true. But posing the right questions to candidates outside of debates can reveal at least one topic on which they are not in agreement, and that goes for both Democrats and Republicans. It relates to one of the most consequential decisions taken by outgoing Attorney General Lisa Madigan during her 15 years in office. In keeping with our theme, the decision was not to do something — namely, not to respond more aggressively to the budget stalemate. Madigan eventually changed course and put the weight of her office behind an effort to enforce the appropriations clause of the Illinois Constitution. But that came after well more than a year of a budgetary stalemate in Illinois government, at a financial cost of billions of dollars and a human cost for which there may never be a full accounting. Looking back now, it was all so naïve. Media reports from summer 2015, when the budget impasse began, speculated that the crisis could last a week, perhaps months. What was not suggested — or apparently even contemplated — was that the state could limp along without a full budget for more than two years. Madigan initially came out swinging, issuing dire warnings. "If there's not a budget in place, the Constitution and laws severely constrain the state's authority to make payments to fund government operations and services," Madigan said in an interview with NPR Illinois. "That is why we've seen the federal government and a number of other states shut down when they're facing budget impasses." Rauner had been pushing the other way: "I want to make darn sure you guys are paid," he told state employees at the Illinois Emergency Management Agency. "It's going to be a little bit of a battle, probably. I hope it's not, but it might be." Rauner was right on two counts: It was a battle, but just a little bit. On the second day of the new fiscal year, the AFSCME labor union filed a lawsuit seeking full payment for state employees. Madigan had already gone to court to clarify what other forms of state payments could be made — "critical services," she said, like healthcare for children in state custody — but she resisted efforts to pay state employees. A split decision among trial courts led to a hasty attempt to involve the Illinois Supreme Court, but the justices washed their hands of the matter. Paychecks were already going out, and by the end of July, a panel of lower-ranking appellate judges affirmed the decision to pay state employees. "It's very odd that we are all here and there remains no budget," Madigan told reporters that August, before walking in a parade to the Illinois State Fair. She said she wanted the legislature and governor to agree on a budget. "Short of that," she added, "it would be my argument that we are operating outside of the Constitution." That might have been her argument, but by that time, Madigan was no longer really making it in court. She wanted to let a tangentially related appeal play itself out, and to give policymakers time to resolve their differences. A month went by. Then another. And another and another and another. There was a stopgap spending bill for the last six months of 2016, but the court-ordered payroll meant legislators could skate by without budgeting for salaries. Billions and billions of dollars were spent on a single judge's order. Finally, in January 2017, Madigan went back to court to try to undo the madness. She reasoned that without a real government shutdown, there was no incentive for legislators and the governor to pass a real budget. This renewed effort was also turned back by multiple levels of the state judiciary. But in the end it didn't matter. When 16 Republican legislators broke with Rauner to help Democrats fund the government and pass a budget, the case was rendered moot. Was Madigan right to step back? Was it appropriate to give legislators and the governor a year-and-a-half to fulfill their duty to pass a budget? Was she abdicating her own duty to enforce the appropriations clause of the Constitution by not pushing for a real shutdown earlier in the stalemate? Each of the eight Democrats and two Republicans running for attorney general have been asked about these issues. Their responses can be broken down into three broad categories on two questions: Was Madigan right to wait before going back to court? And should she have revived her court fight at all? • Former assistant U.S. attorney Sharon Fairley said she's been the victim of a "nightmare" shutdown of the federal government. "People have bills to pay. People have mortgages to pay," she said. "The employees should never be made to suffer by the lack of political decision making by our political leadership. And so this is the vantage point that I would take: You cannot use workers as pawns in these political debates." • Public defender Aaron Goldstein said he thinks employees should be paid even without a legal appropriation. He said he didn't have an issue with Madigan sitting out the impasse for nearly a year-and-a-half: "I believe if you're working, you're entitled to be paid." 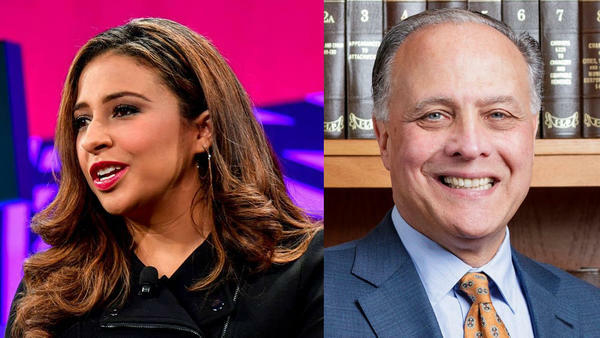 • Erika Harold endorsed a hands-off approach. "I think it's important that the legislature work that out, and that the attorney general not be involved in ways that would be political," Harold said. "So when she went to court to block the state workers from being paid, I think that would be using the office in a way that would be political." Harold pointed out that when Madigan returned to court in early 2017, her argument relied in large part on a change in case law that had happened nearly a year before — meaning she could have gone back to court much earlier. "I think the timing of it was political," Harold said. "There were negotiations that were ongoing, and there was nothing that had changed legally that would make it the appropriate time to do so." • DuPage County Board member Gary Grasso said employees "at some point" had to be paid during the impasse. "They have families themselves." He was then asked if he would have pursued Madigan's approach of going to court to stop payroll in the absence of an appropriation: "No, I would not." Four other candidates, however, think Madigan was right to eventually intervene in the impasse — and took too long to do so. • Highland Park Mayor Nancy Rotering said employees should have been paid during the budget stalemate: "A number of the jobs that they perform for the public would not otherwise occur, and we're depending on them for our life, health and safety to be protected and preserved." But she also said Madigan waited too long to renew her attempt to enforce the appropriations clause of the Illinois Constitution: "I think you need to be immediate with questions related to the viability of people who are doing the public's work." • State Sen. Kwame Raoul said waiting 18 months created an "unnecessary delay." But he also said the real blame for the impasse belongs with Rauner, not Madigan. "It was a decision to hijack government for the last three years," Raoul said. But would he have moved more quickly? "First off, I wouldn't sit on the sidelines, because the attorney general, in addition to having the power of [filing] suit, has a bully pulpit," he said. • Former federal prosecutor Renato Mariotti also said it was a mistake for Madigan to wait 18 months to take another run at stopping employee pay as a way to end the impasse. "One of the things I like about the attorney general's office is you can take swift action without having to get votes," Mariotti said, contrasting it with the state legislature. "One of the challenges for me as attorney general [would be] dealing with the General Assembly that's often playing politics and doing things that they shouldn't be doing in order to make it easier for themselves." • State Rep. Scott Drury also placed himself in the "what took so long" camp. He pointed to his speeches during the impasse in which he called for stopping all state spending, calling stop-gap and piecemeal spending bills "legislative heroin." "I think [Madigan] should have taken action much quicker than she did," Drury said. 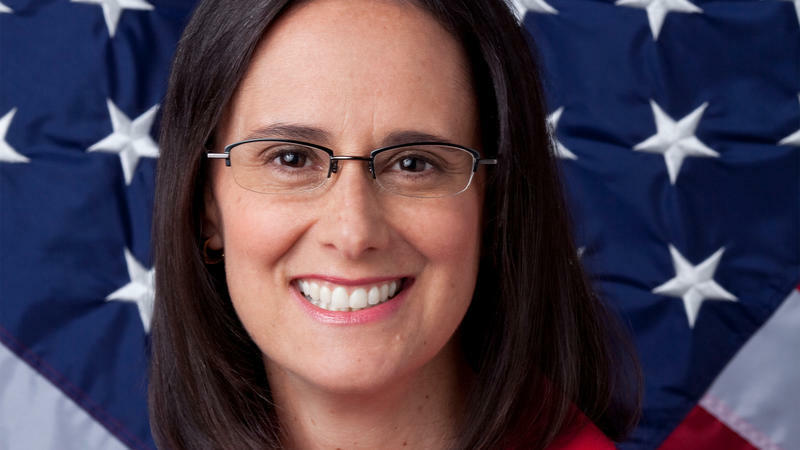 "When she actually finally took action, I sent an email to my constituents and said I'm happy that Lisa Madigan has finally jumped on board with an idea that I'd been pursuing." • Chicago Park District President Jesse Ruiz said he wouldn't second-guess Madigan's decision to pause 18 months. He then said "ideally" state employees wouldn't be paid without a legal appropriation, but also said "they should not be used as pawns." 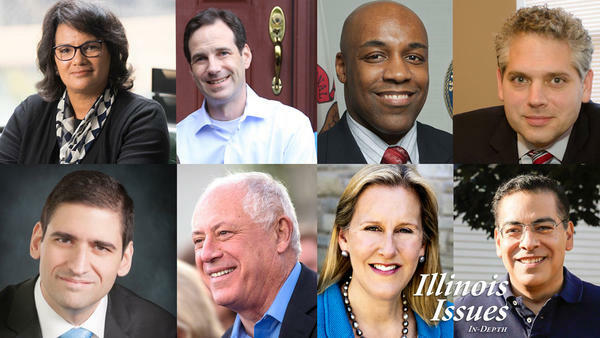 • Former governor Pat Quinn had even less to say. Asked if Madigan waited too long to intervene in the state court matter, he said there were "conflicting issues." "The federal courts had made some decisions, and I think she abided by those decisions," Quinn said. "She had to balance everything, and I think that's what she did." As of this week, the Illinois attorney general oversees a staff of 388 lawyers plus another 343 non-lawyers. That essentially makes it the third largest law firm in Illinois, according to figures from Chicago Lawyer magazine. The office's work covers a broad range of subject matters, including criminal appeals, consumer fraud, child welfare, the environment, antitrust, veterans affairs, disability rights and high tech crimes. With all those lawyers in all those fields, the candidates are trying to sell voters on the great things they'd do in office. But sometimes the hardest questions in a job do not involve knowing how to channel all those resources into a course of action. Sometimes, the hardest questions involve knowing whether the best course of action — is inaction. If you'd like more in-depth reporting delivered to your inbox every week, subscribe to our newsletter. The radio version of this story was produced in collaboration with Illinois Newsroom.